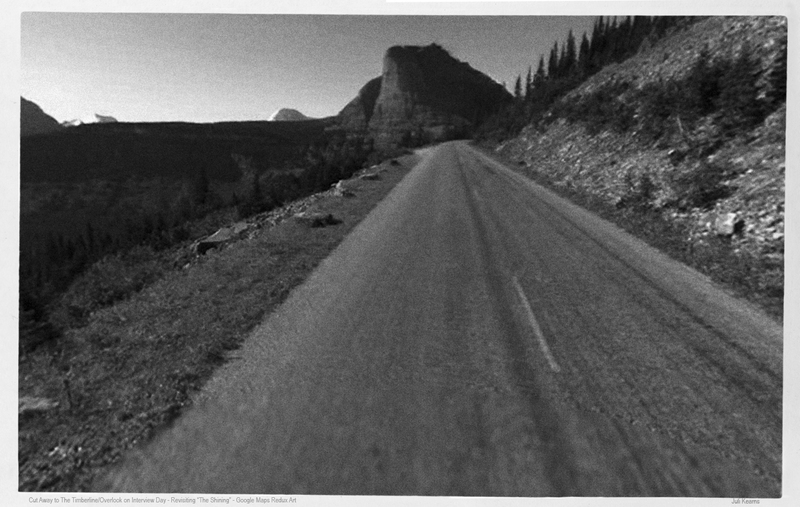 Near Logan Pass, at around the Continental Divide, Kubrick crossfades from footage of the Glacier National Park to The Timberline at Mount Hood, blending Mount Clements (I believe) with Mount Hood. The helicopter then hovers over the presumed Overlook. This is past Siyeh Bend on the Going-to-the-Sun Road. Comparing the movie still with the image taken from Google maps, the tree line is still very much as it was back in 1980. There is a little new growth on the right. 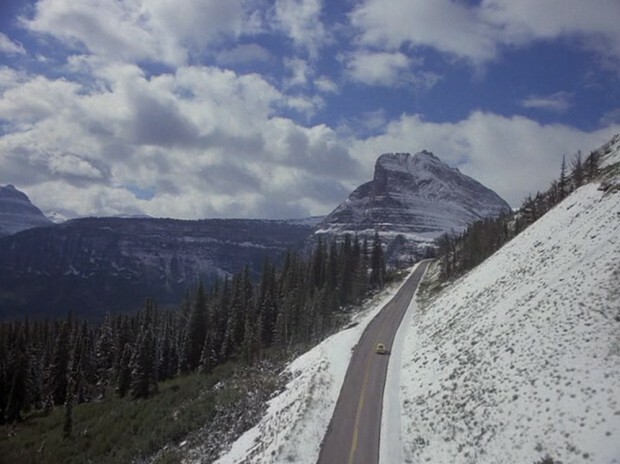 The snow in the film conceals a number of rocks to the left side of the road. Google Map of the above.